Microsoft India announced call for entries for its annual YouthSpark Challenge for Change, a global competition that encourages young people to consider how they can use Microsoft technology and YouthSpark resources to create positive social change in their communities. Lowering the age limit for the first time to below 18, this online contest is inviting entries from Indian youth aged 13-25 years to share their ideas for sparking change in their communities, schools, college campuses, or the world. In its third year now, Challenge for Change is a part of Microsoft YouthSpark, which is Microsoft's commitment to empower young people through technology and provide opportunities in education, employment, and entrepreneurship. Submissions to Microsoft YouthSpark Challenge for Change will be accepted online, until March 25, 2015. There are two age divisions: 13-17 years, and 18-25 years. Thirty global finalists - 15 in each division, will receive a Surface Pro 3 with Office 365. Finalists will submit videos detailing their ideas, which will be shared for public voting. Ten grand prize winners, five in each division and selected by a public vote, will win $2,500 to help make their ideas a reality, a Windows Phone and the opportunity to go on an amazing service trip to Nicaragua to learn about creating change. Public voting will take place from May 7-14, and winners will be announced on May 27, 2015. Last year, five YouthSpark Challenge for Change Grand Prize Winners sparked change in their communities and beyond and went on to the Amazon jungles for a volunteer trip. Among the 5 winners was 23 year old, Sathya Subramanian from Mangalore who’s project Digital Literacy Program earned him a spot among the top 5 winner globally. VMware, Inc. a global leader in virtualization and cloud infrastructure, today announced the availability of VMware EVO:RAIL for the Indian market through its Qualified EVO:RAIL Partners. VMware EVO:RAIL is a hyper-converged infrastructure appliance that helps IT organizations streamline the deployment and scale-out of software-defined IT infrastructure at the speed of business. Dell, EMC and HP today also announced the availability of their VMware EVO:RAIL based offerings for India. Fujitsu, Hitachi Data Systems and NetApp have also partnered with VMware for EVO:RAIL and will make their respective appliances available over time. VMware EVO:RAIL will be offered by these partners’ channel as a single SKU covering hardware, software, and support and services costs, with single point-of-contact support being offered by the Qualified EVO:RAIL Partners. IT organizations today are being challenged to provide services faster than ever while reducing the complexity and costs of their environments. VMware EVO:RAIL will dramatically simplify the delivery of software-defined infrastructure services while lowering operating expenses. 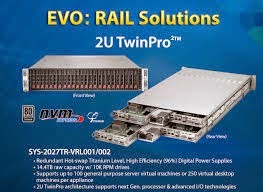 Featuring a pre-integrated and pre-tested 100 percent VMware software stack, VMware EVO:RAIL will enable IT to produce virtual machines within minutes of powering on the appliance, thereby responding faster to business demands, simplifying infrastructure administration and reducing operating costs. As organizations migrate from inefficient legacy systems, the complexities associated with building virtual infrastructure is fueling a 33 percent compound annual growth rate (CAGR) in the integrated systems market, which IDC estimates will grow from $5.4 billion in 2013 to $14.3 billion by 2017. Hyper-converged systems are the next phase of the converged infrastructure evolution, aimed to help midsize businesses that require flexible, open architecture to simplify IT operations and transform the speed and efficiency of application service delivery. “VMware and its Qualified EVO:RAIL Partners are bringing the simplicity of consumer appliances to the world of enterprise infrastructure. VMware EVO:RAIL is a new building block for software-defined data center environments that takes the guesswork out of building, deploying, scaling and managing software-defined infrastructure services,” said Arun Parameswaran, managing director, VMware India. 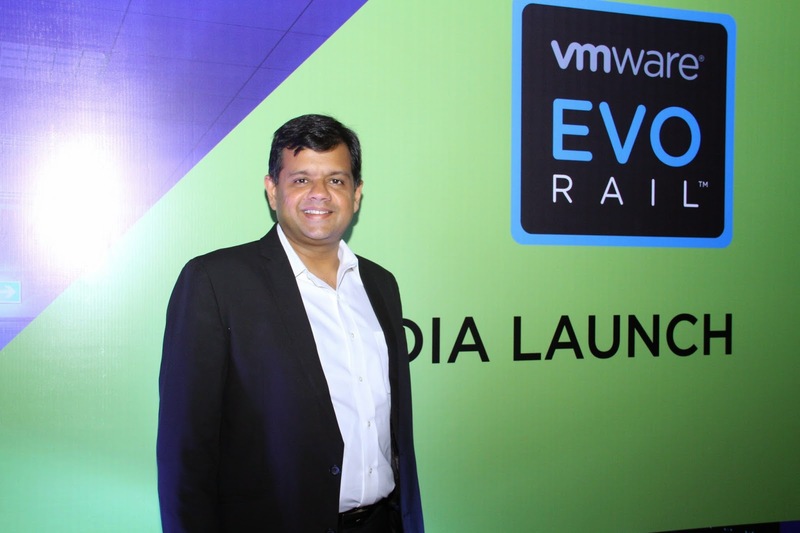 “Our customers and partners in India have been very excited about the immediate value VMware EVO:RAIL offers them,” he added. In a significant endorsement to the Indian IT-BPM industry’s glorious journey over the past two decades, Hon’ble Prime Minister Narendra Modi today joined the National Association of Software and Services Companies (NASSCOM) in its ceremony marking the silver jubilee celebrations of the industry. Union Minister for Communications and Information Technology, Ravi Shankar Prasad and Minister of State for Finance Jayant Sinha, also joined the occasion along with IT-BPM industry stalwarts to envision the future of the industry and maximize its contribution to the growth of the Indian economy. NASSCOM SPECIAL AWARDS • Awards to NASSCOM founding members – Harish Mehta, Ashank Desai, KV Ramani, Saurabh Srivastava • Game Changers – N Vittal, Former Secretary- IT, Chief Vigilance Commissioner, Late Sh. 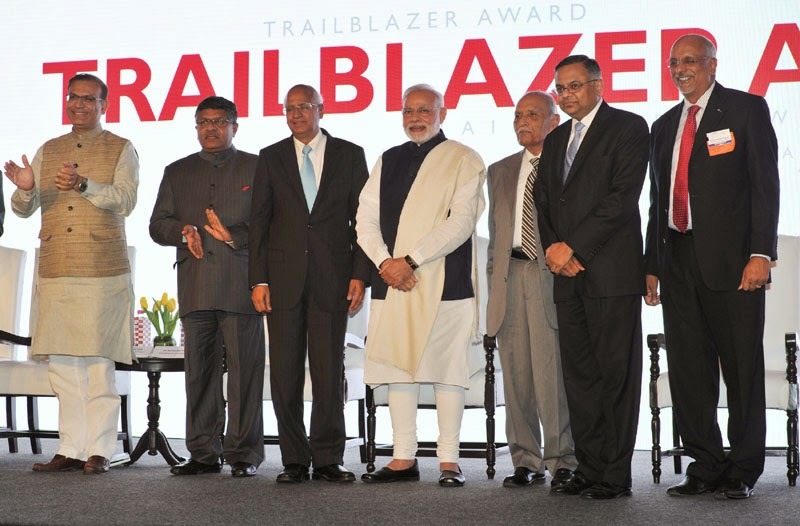 Dewang Mehta • Leading IT Company for 25 years – Tata Consultancy Services • Entrepreneur who shaped the industry – N R Narayana Murthy • Corporate Citizen – Azim Premji • NextGen Entrepreneurs - Naveen Tiwari (InMobi), Kunal Bahl (Snapdeal), Ambiga Dhiraj & Vijay Shekhar Sharma (One97 Communications) On the occasion, Prime Minister also facilitated NASSCOM’s founding members and select individuals for their outstanding contribution in shaping NASSCOM and the industry over the past 25 years. 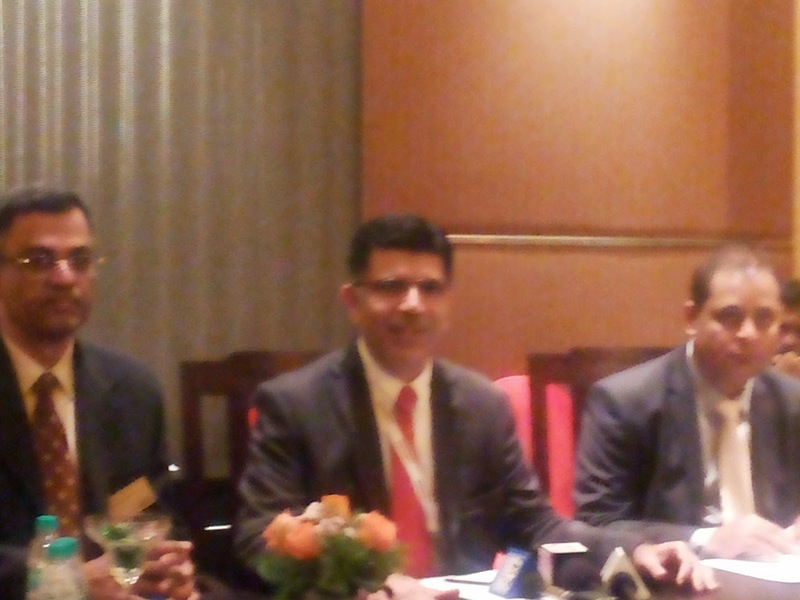 The event was marked by in-depth insights of industry leaders with Ravishankar Prasad and Jayant Sinha on the Union Budget 2015 highlighting the growth opportunities for the industry while discussing suggestions for implementation of policy matters, concerns on proposed provisions and issues to be addressed. To mark the completion of 25 years and engage the citizens of the country to build solutions for India’s challenges, NASSCOM launched the “The Innovate for India Challenge”. The initiative aims to enable India to become a country with the highest number of innovative ideas for the common people. The challenge will catalyze innovation, inspire the youth and help communicate the right solutions that will be channelized for adoption by government and corporate. This initiative by NASSCOM and the government will leverage innovation on a large scale and enable technology innovations to address India’s untapped potential. The expansive vision that the government has chalked out, be it Make in India, Digital India, 100 Smart Cities, Skilling India, Digital literacy, Jan Dhan Yojna and the likes, all have IT at the core. The advancement in technology will continue to bind India’s future and achieve audacious goals to change the world for the better. This is an opportune moment for the industry to work collaboratively with the government and assist in nation-building towards realizing the digital India dream. 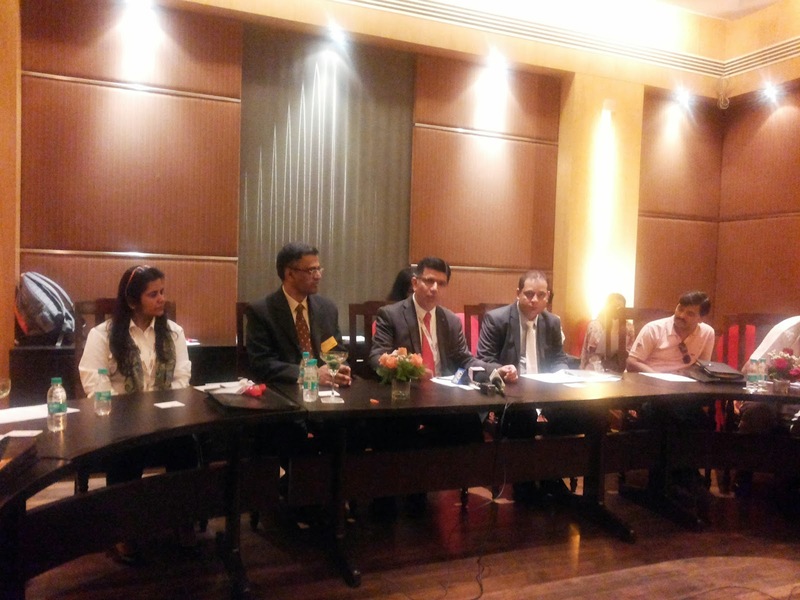 Illustrating increasing demand for its workforce management solutions in India, Kronos Incorporated today announced strong growth in India across its targeted vertical markets such as retail, manufacturing, and services and distribution. * Kronos experienced a 50 percent year-over-year revenue growth in India as more organizations turn to Kronos to control labour costs, minimize compliance risk, and improve workforce productivity. 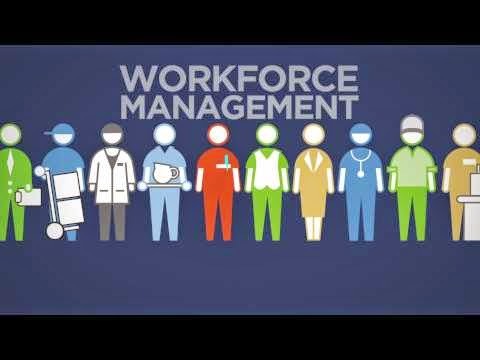 * Leading India-based organizations such as Firstsource Solutions, a leading provider of business process outsourcing headquartered in Mumbai; leading automobile manufacturer Mahindra; and SAB Miller India recently selected Kronos workforce management solutions, some of which are deployed in the Kronos Cloud. * In addition to customer momentum, Kronos is also expanding its partner network by establishing relationships with organizations such as Bluetree and Tech Mahindra, adding to existing relationships with other leading systems integrators in India. * Kronos currently has more than 500 employees in India located in Bangalore, Mumbai, and Noida (a suburb of Delhi). In March, Kronos will relocate its Noida operation to a new 93,000 square-foot space in the Okaya BlueSilicon Business Park to support its growing software development, Kronos Cloud, professional services, finance, and information technology functions. U.S based Rockwell Automation Inc with over $6.62 billion dedicated to Industrial Automation and Information is focussing on further expanding it’s Global footprint on the biggest emerging Markets like India, China & South East Asia. Rockwell Automation employs over 20,000 Professionals globally, with almost a thousand based out of India. On the backdrop of hosting India’s largest Automation Event, Rockwell Automation today announced its partnership with Microsoft and Cisco for joint solution Development and Integrated Solutions and Services at a conference here today. These collaborative efforts shall result in better asset optimization and broader risk management for Industrial Companies. Rockwell to create ‘Customer Briefing Centers’ for the Manufacturing Industry. RAOTM (Rockwell Automation On the Move) is an exclusive annual event that brings together the best and brightest thinkers, practitioners, and innovators from business and academia to accelerate the market adoption .The theme of Rockwell Automation on the Move 2015 is “The Connected Enterprise”. The implementation of the Connected Enterprise will drive more change in Industrial Operations in the next 10 years than in the past 50 years. Companies continue to face challenging markets across all Industries. With ever increasing global competition, Manufacturers must find new ways to optimize operations and achieve higher level of productivity. The Connected Enterprise shall transform manufacturing and provide tangible business benefits through Convergence of Information Technology (IT) and Operations Technology (OT). Today, less than 14% of manufacturers have connected their machines to the Enterprise Network and only a few progressive manufacturers have bridged the IT & OT divide. “Rockwell Automation on the Move 2015 is a commitment to help manufacturers gain the competitive advantage they need to succeed and grow. Every manufacturer shall enter and progress through the stages of The Connected Enterprise that is most appropriate for it, at a pace determined by its own needs, infrastructure, readiness and resources. It is critically important for Rockwell’s customers (manufacturers) to experience what its offerings are, and hence looking at creating customer briefing centers to take its solutions closer to their hearts,” said Sawhney. Modern Automation Technology, from an engineer’s perspective, now broadly encompasses Mechanical Engineering, Electrical Engineering. Electronics Engineering, good amount of Instrumentation, Communication Engineering and Lots of Real Time Software (IT). The revolution in the Enterprise Area, the emergence of IT in manufacturing, Information Systems and MES to connect Automation to Enterprise and finally the role of Social, Media, Mobility, Analytics, Cloud (SMAC) has changed the way the manufacturing and automation companies look at Automation. Amidst the bustling action unfolding at the Aero India 2015, union Civil Aviation Minister Ashok Gajapathi Raju flagged off the global launch of OIS-AT's four hi-tech dual use radar systems at an impressive function at the company's pavilion. This launch marks a milestone in OIS-AT's Make in India initiative, signaling its arrival on the world market place, a company statement said. "I am pleased that an Indian defence and aerospace company from the MSME sector has taken the initiative to develop these radars. 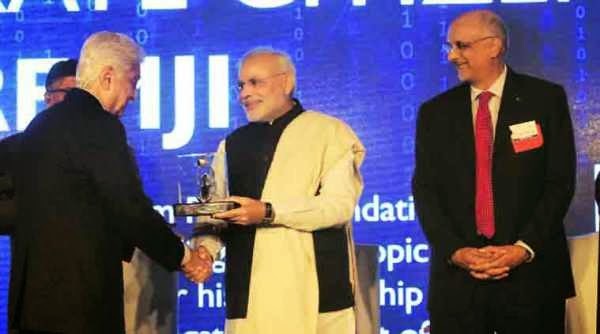 I wish them all success and hope we will see more such innovations from Indian MSME organisations," Raju said. Welcoming the minister, OIS-AT chairman & managing director Sanjy Bhandari said: "I am also pleased that OIS-AT through this launch has been able to successfully showcase its R&D and manufacturing capabilities." 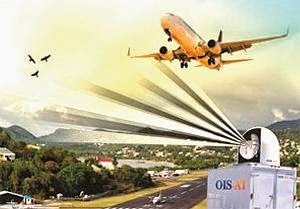 A breakthrough for the Indian Aerospace and Defence sector, these advanced radar systems are designed, developed and manufactured entirely by OIS-AT. The four systems leverage advanced technology developments that are under patent filings and have been under development and manufacture for a number of years, the statement said. Validating this achievement, OIS-AT was also awarded for "Excellence in Indigenous Product Development" at a glittering function in the city held on the eve of Aero India 2015. The other awardees in various other categories included BEL, Bharat Forge, Dynamatic Aerospace, L&T amongst others. Designed for domestic and global market requirements and as the owner of the Intellectual Property, OIS-AT is now recognized as an advanced radar system house. "Each of these radar systems is a combination of functionality and performance and is representative of a breakthrough in technology uniqueness, or its advanced technology availability outside traditional radar providers in the west," Bhandari said. OIS-AT has used an underlying user-focused design philosophy recognizing that different customers have differing needs worldwide. 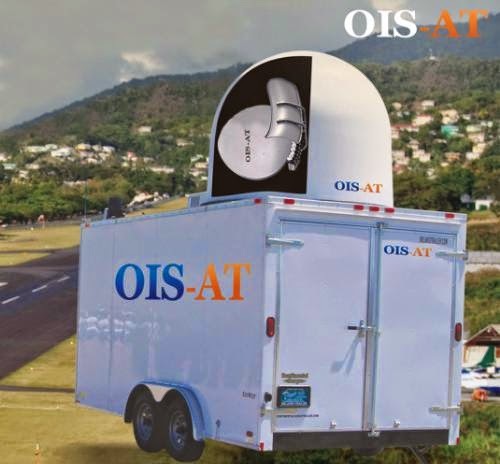 OIS-AT's four radars are specifically designed to offer a combined 34 configuration options to provide the global user flexibility to pick the configuration which most suits its application, be it military or non-military. 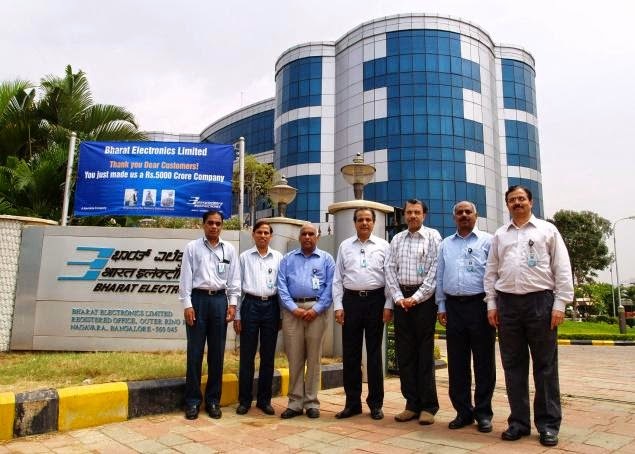 Bharat Electronics Limited (BEL) has decided to set up a green field project in the defence sector in Anantapur district of Andhra Pradesh with an investment of about Rs.500 crore. The new project to come up at Lepakshi will be used for weapon systems. The new facility will focus on design, development and production of all kinds of weapon systems such as fire control, missile systems and other weapon upgrade programmes. The facility will be ready in the next two years, he said. “The facility is expected to be ready in two years and we plan to develop weapon systems keeping in mind future contracts from Army, Navy and Air Force,” he added. The PSU sought 900 to 1,000 acres of land at Penukonda for the unit which they said would provide employment to 500 local people. Besides, the plant would spur growth of ancillary industries in automobile and transport sectors. The new facility will be a specialized plant being set up for to manufacture all kinds of weapon systems such as fire control, missile systems and weapon upgrade programme among others. The Bangalore-based PSU, is set to commence mass production of Akash Missile System (AMS) for the Indian Army. Sharma also indicated that there could be more orders from the Indian Air Force for additional squadrons. However, nothing is finalized yet, he added. "We are already supplying this missile system to the Indian Air Force (IAF) and recently completed trials for the Indian Army. 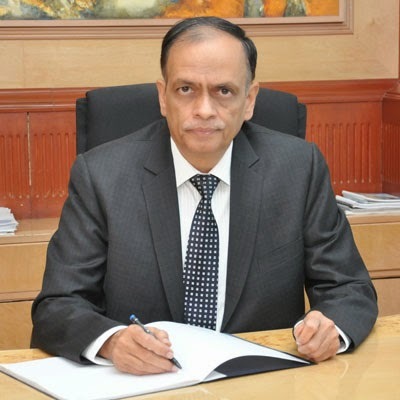 We are already manufacturing the system for IAF, while the production for the Army will commence very soon and will be delivered to them over the next two to four years,” adds Sharma.